Vi is an AI personal trainer that lives in biosensing earphones for Running, Treadmill, Walking, and Cycling. She will track your activity, constantly learn and coach you to real results - all delivered through beautiful sound powered by Harman Kardon. With features like heart rate monitoring, GPS, cadence and speed tracking, you can feel confident about your workout. Whether you're trying to run your first 5K or striving to shave a minute off your best time, Vi adapts to your fitness level and personalizes a workout for you. Set your goal; Vi will make sure you get there. You will forget that she is an AI and immediately think of her as a true workout companion! She speaks beautifully and responds to your voice commands! Plus, Vi's aerospace-grade biosensors means you're getting more accurate measurements than many other wearable on the market today! The first AI Coach who uses real time tracking to deliver unlimited number of running, treadmill, cycling, and other workouts. 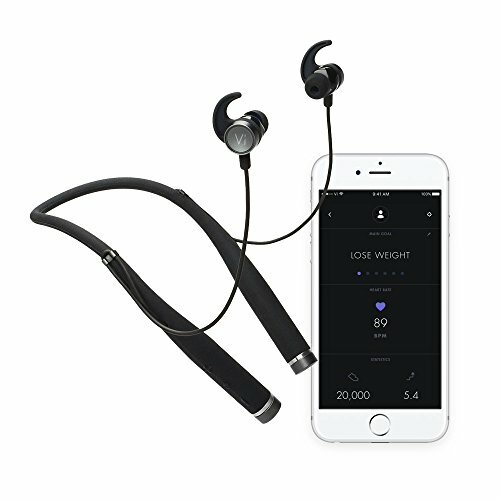 Aerospace-grade biosensors that detect heart rate, motion, elevation, proximity, and touch packed into comfortable and lightweight headphones. Beautiful sound powered by Harman Kardon. Sweat and water resistant with all-day battery life perfect for workouts, listening to music, and taking calls. Vi continuously adds new capabilities through over-the-air- updates. Every day is a chance to experience fresh content and new modes of use! If you have any questions about this product by LifeBEAM, contact us by completing and submitting the form below. If you are looking for a specif part number, please include it with your message.